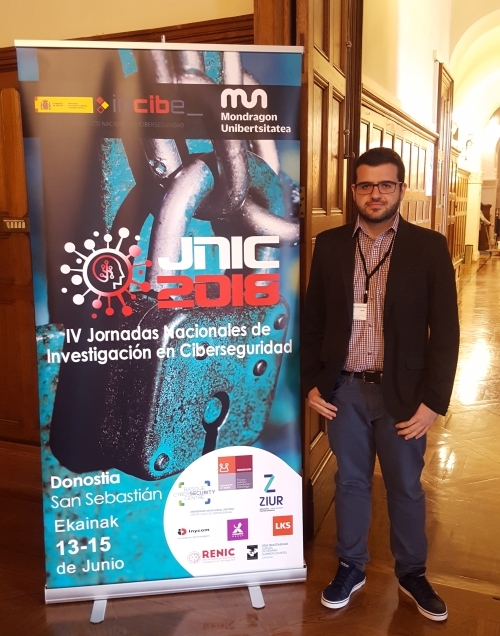 The 4th JNIC18 (http://2018.jnic.es/) took place in San Sebastian(SPAIN) on 13rd – 15th June. This research conference is the most scientific-related to the cybersecurity in Spain. During these days, the best research works are awarded in a lot of different areas like forensics, cryptography, artificial intelligence, big data, etc. Our colleague Jose Antonio attended for introducing Idener into the cybersecurity research ecosystem and to gain knowledge about the last trends in cybersecurity research. One of the most important aspects that had an impact in our colleague was the current use of machine learning techniques in the threats and anomalies detection which is implemented in a lot of information security systems. Also, he took advantage of the occasion to doing networking and strenghtening the network.